Diversifying your business is a good way to stay in business. 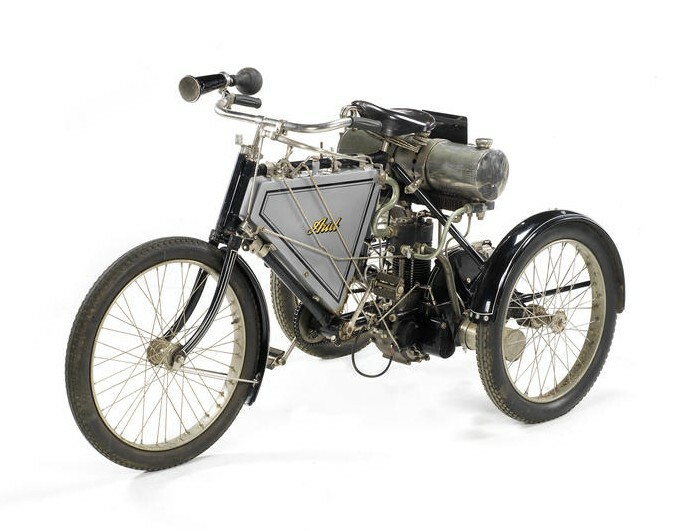 Many early motorcycle manufacturers started out life as bicycle manufacturers. When it became feasible, they added engines and went into the motorcycle business. But what do you do if you’re already a motorcycle manufacturer? Well, you build cars – or, at least, you try. This Ariel Quadricycle is about as much bike as it is car. The driver sits out back on a motorcycle seat, straddling the engine and tank. The passenger sits up front, acting as both windscreen and front bumper. 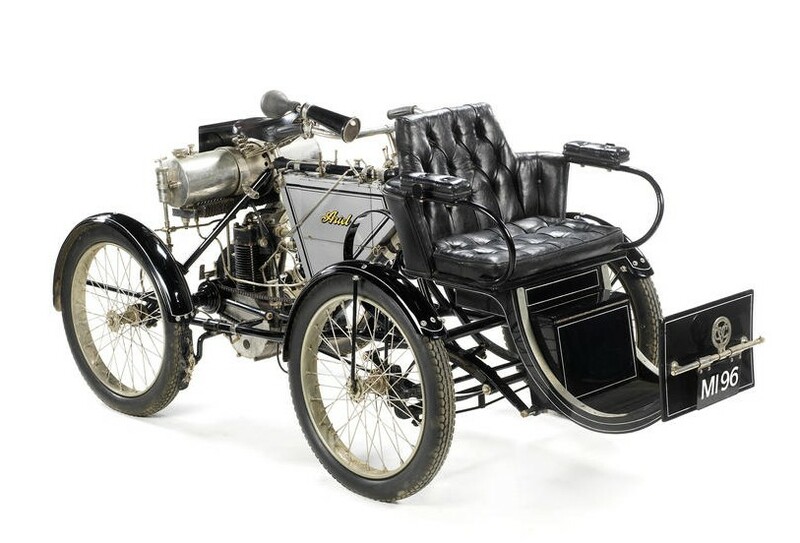 Actually, this car can be easily converted to a tricycle – and was sold as such with a “Quadricycle attachment.” I guess you just scoot the front wheel over, add another wheel and a seat and boom! you’ve got a car. This particular example has known ownership history from new and has been exquisitely restored. Ariel would offer more traditional cars here and there until they focused solely on motorcycles beginning in 1925. Motorcycle production ceased in 1970. The Quadricycle is very rare but not unheard of. This one could bring between $40,000-$56,000. 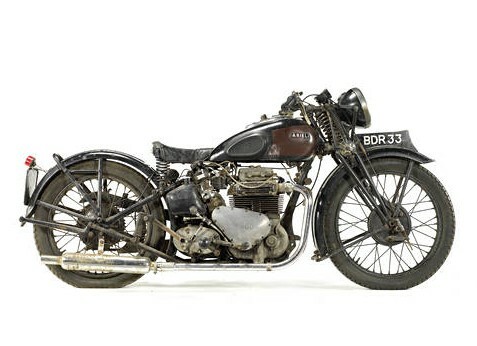 Click here for more info and here for more from this cool Bonhams sale. 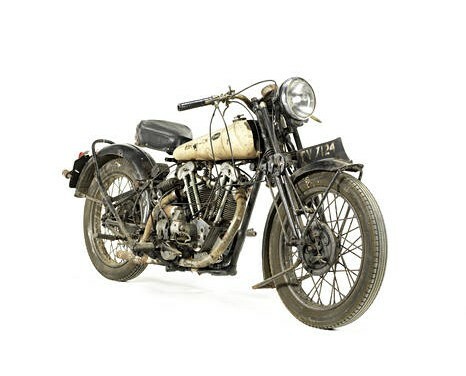 It’s a good bet that when a Brough Superior shows up in an auction catalog that it will be the top seller of the sale. This time that was certainly true, selling for about $100,500 – more than double the price of second-highest seller. This is a time-capsule version that has never been restored and is not running. And the second-highest selling bike was a 1955 Vincent Rapide Series D for about $43,000. The 1938 Ariel Square Four that we featured last month sold for a couple dollars under $19,000, which, I think, makes it the first motorcycle featured on this site to actually sell. It brought about $5,800 (I say “about” because the auction was in GBP and I have to do my own currency conversion). I just like the way it looks. 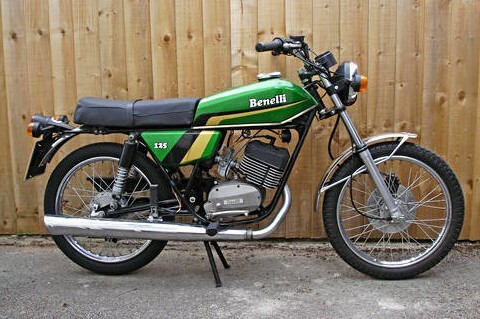 Same with this 1978 Benelli 125 Turismo. There isn’t anything spectacular about it. I guess it’s because the paint is so nice. Anyway, I wish I would’ve been there to buy it for its $1,082 selling price. For complete results, click here. The Ariel Square Four was a four-cylinder motorcycle introduced in 1930 as a 500cc motorcycle. In 1937 the model was updated to the “4G” with a 955cc OHV engine. It’s a powerful 1930s motorcycle with similar displacement to a 1960s-era Mini (which weighed a lot more). This isn’t a Vincent and doesn’t pretend to be but, on the plus side, it’s way more affordable. 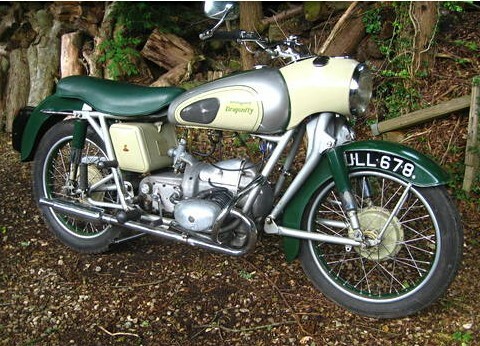 Ariel was absorbed by BSA in 1944 and continued production until 1970. But their heyday was the 1930s when models like the Square Four and Red Hunter were serious bikes. This particular bike was acquired in 1947 by the most recent owner (who is deceased). It also comes with a sidecar, but from the pictures it would appear that the sidecar needs some serious work. This one hasn’t been ridden in 40 years and hasn’t been started in 10. It is in original condition – and it doesn’t look too bad. It’s a restoration project and for the estimate of $11,000-$16,000, it’s a lot cheaper than some of the other restoration projects that we’ve seen at auction recently. Then again, it’s priced higher than many of the running bikes in this sale, which makes me feel better about talking this up as a desirable model. For the complete catalog description, click here.